When you're trekking through the back country the last thing you want to be worrying about is whether your jacket is up to the job. With the Womens Marble Rock Jacket you won't have to. 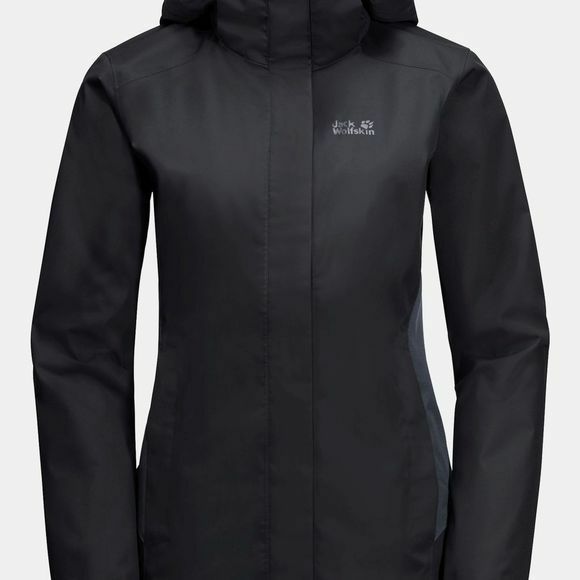 If you want to experience the outdoors in all seasons, this hardshell will do you proud. The super robust Texapore fabric is designed to cope with harsh treatment and you can rely on it to keep you dry. The fabric is also very breathable, so the wear climate is consistently good. The contrasting, marled-effect Texapore fabric on the shoulders, hood and sleeves gives the jacket its signature look. If the sun is shining when you get down to the valley, simply detach the hood and stash it in your pack. And when the winter comes and you need a bit more warmth, you can use the system zip to combine it with a compatible Inner jacket. This gives you a functional jacket combination that you can use all year round.